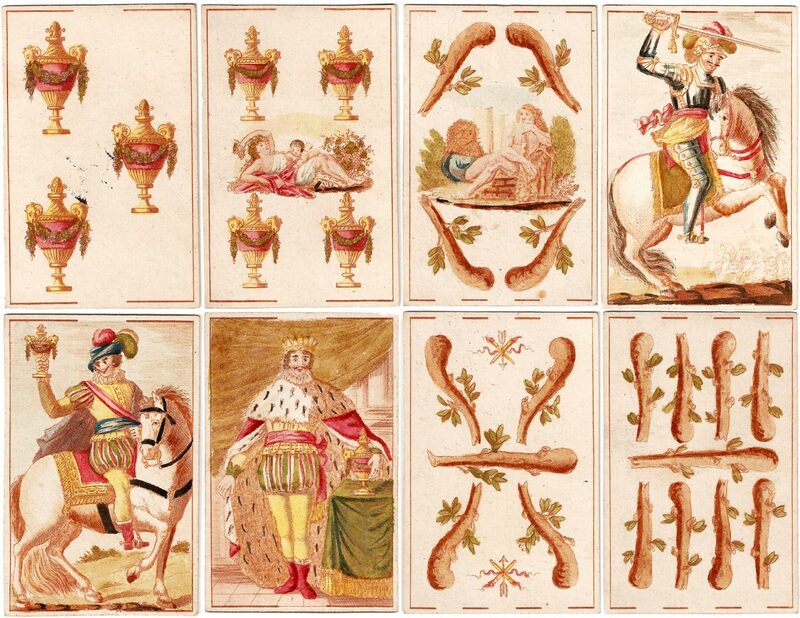 Above: cards from a deck etched by José Martínez de Castro first published by Clemente Roxas in Madrid in 1810. 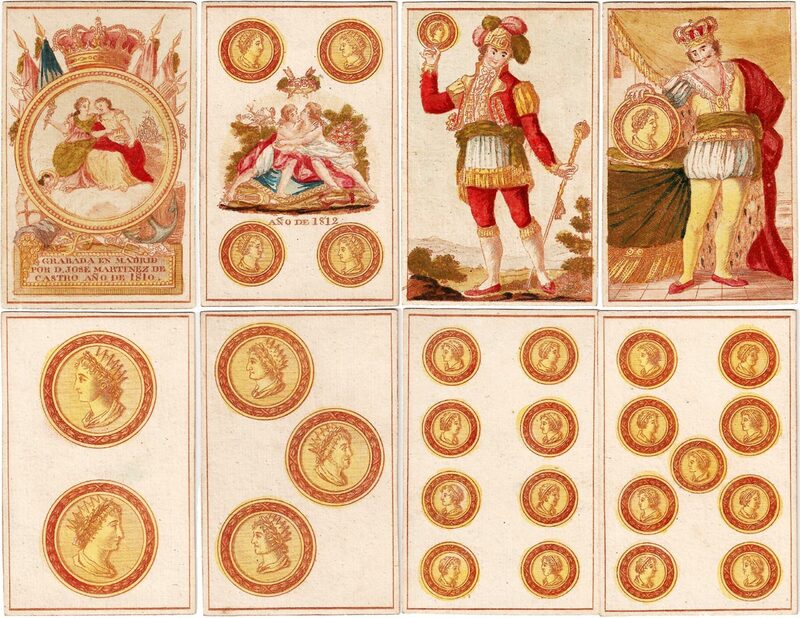 Size of cards: 83 x 52 mms. 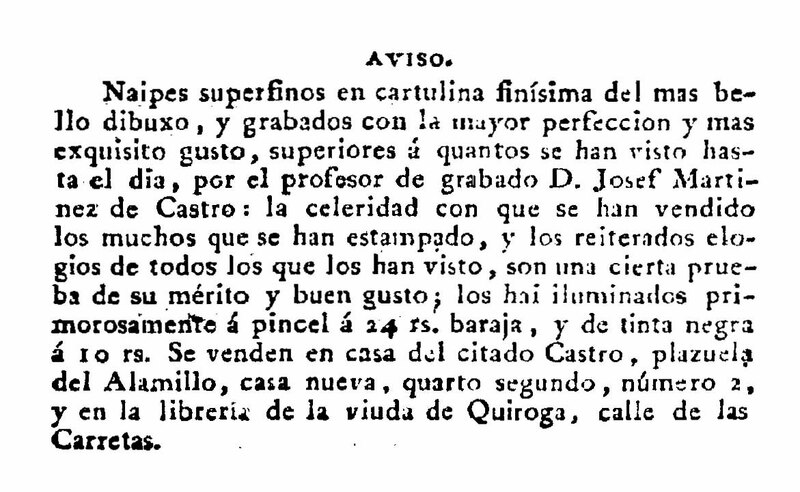 This example, from the Complejo Museográfico de Luján (Argentina), was acquired by Don Enrique Udaondo, the museum's first director, from the antiquarian dealer Romón J. Pardo in around 1930. 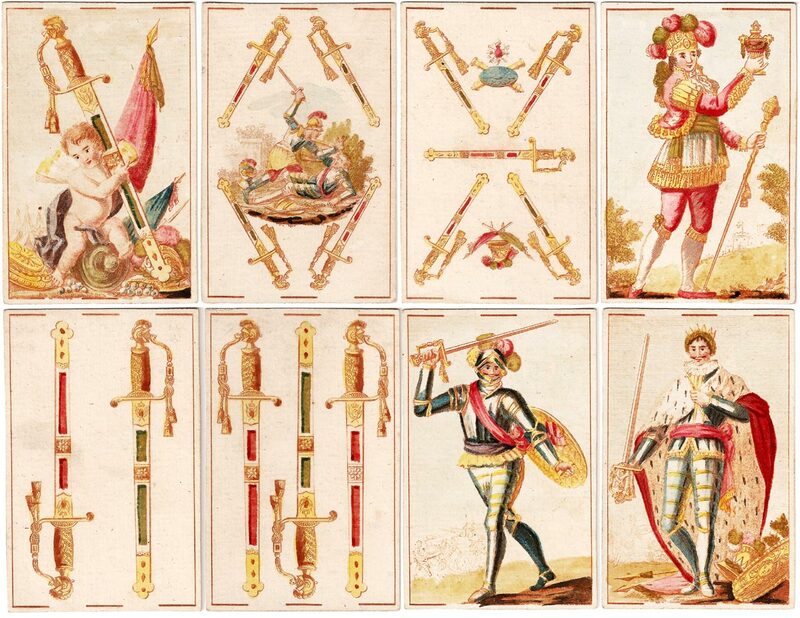 It is not known who owned the cards prior to Pardo, or how they arrived in South America. All members of the swords suit are in full armour and the sotas wear plumed helmets. The plates are usually printed in brown and carefully hand-painted with water-colours, and this example has been professionally painted in an accomplished and colourful manner. Thanks to Juan Carlos Recarey and Alberto Pérez González for assistance with this page.